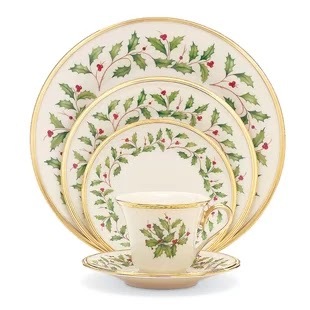 This will be my Christmas tablescape as soon as I have a rectangular table at our forever home. 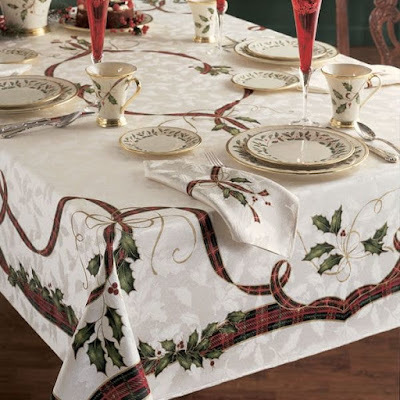 I bought the tablecloth and matching napkins - Lenox Holiday Nouveau - at Bed Bath and Beyond in the after-Christmas sale last year. I think they were something ridiculous like 80 or 90% off and then I had a coupon on top of that which brought the price down to next to nothing. I found both items stuck all the way at the back of a shelf - things get so disorganized with people digging for bargains and it was my lucky day. I have this china - Lenox Holiday - but not the mugs as they are Holiday Nouveau. My mugs are slightly smaller and less flared than the one you see here. 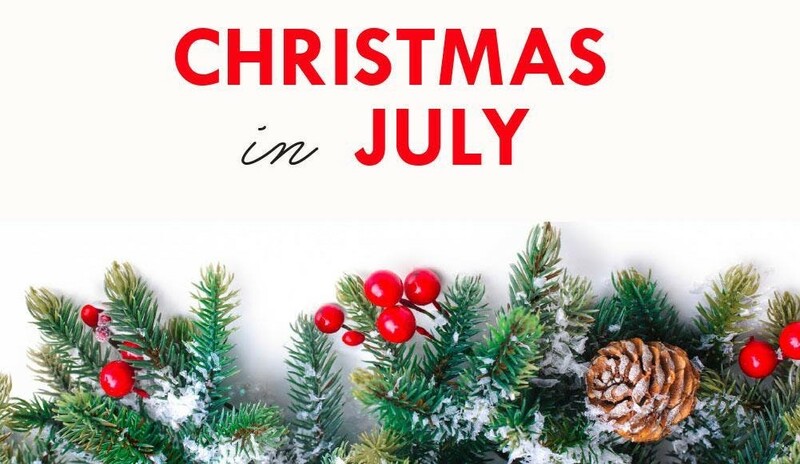 I hope to pick up a few accent pieces for a centerpiece this holiday season. 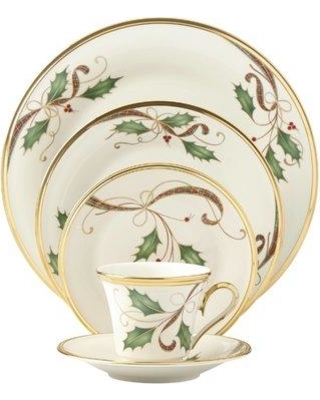 This year, I plan to take my regular dishes out of the cupboard and put them away and use my holiday china all month. 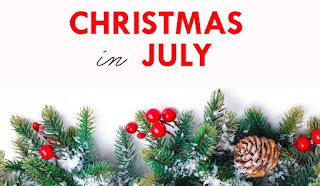 I found a Christmas tablescapes blog hop from last year here - there are lots of great ideas. Love the cloth and dishes. Pretty pattern. 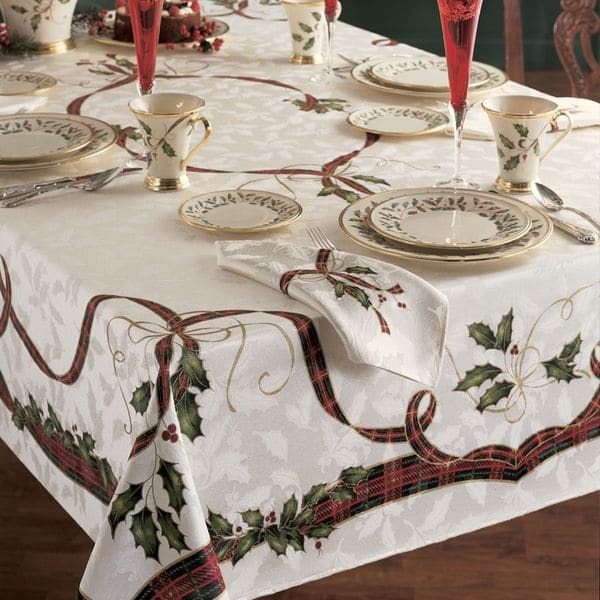 What a lovely pattern - your tablescape will be awesome! What a fantastic bargain you got! So pretty.